HORSEHEADS, N.Y. — It’s absolutely bitter in the Southern Tier of New York this week. But as cold as I feel driving to work today, I know that there are two dirt tracks and many drivers that are feeling the cold even more than I am. I’m fortunate to be able to write a lot of news stories for Race Chaser Online, but every once in awhile they allow me to stand up on my soapbox and fire off my opinions. So, if you’re looking for a politically correct, news-only type of piece, you may want to go ahead and click the “Back” button on your browser or mobile device: because this story is not for you. What has happened to The Hill Speedway, Skyline Raceway Park and their racers this week, to me, is an absolute travesty. I think what has transpired this week is also a sign of things to come for the future of the IMCA Modified division, and let me say I don’t think the future is very bright there. Both tracks offer an IMCA-style Modified division and both were hoping to be granted IMCA sanctioning rights for the 2017 racing season. The Hill and Skyline offer decent car counts for the division. They may not be starting 24 cars a night by any means, but both tracks have carried respectable numbers for a division that has received little to no support from the national sanctioning body in recent years. To date, the Northeast doesn’t even have a regional point-person to reach out to for issues, concerns or to use as a sounding board for the future of the division. Although I know Skyline Raceway Park is upset about not receiving sanctioning rights, I’m going to first start my stance with the drivers and staff at The Hill Speedway in Monroeton, Pa. The Lamphere family from Northern Pennsylvania lit the fire for local dirt track fans when they took over operation of a dirt track formerly known as Dunn Hill Speedway and later known as Dunn Hill II. The Lampheres brought a track left to the weeds back to life. They added an incredible amount of fresh, quality clay that pushed their opening day back to early summer of the 2016 race season, but it was surely worth it for the quality of racing that it produced. Does the track have a multitude of grandstands or sky boxes overlooking the track? No, it does not. But the management is going about things the right way and doing what they can to make more improvements, one step at a time and when things make sense financially. Although I did not get to The Hill in 2016 with my duties at Outlaw Speedway on Friday nights, people raved about the track being back in operation. Working in the Sayre area every day, I run into folks almost daily that have supported The Hill since its rebirth, and the response has been huge all season. As the 2016 season wore on, the car counts increased and the racing was second to none on that new clay surface. One division that did well were the popular IMCA-style Modifieds, and for good reason. There is a plethora of IMCA Modifieds in the Northeast Pennsylvania area, as well as cars found in pockets just above the New York/Pennsylvania border. On top of what cars exist already in the area that competed at The Hill, there were also cars that either didn’t compete in 2016 waiting to see how things went. There were even less than a handful of cars who made the tow from Northern Pennsylvania to Outlaw Speedway on Friday nights, just because that was the closest IMCA-sanctioned track to compete at on Friday nights. IMCA did not offer The Hill Speedway a sanction in 2016, as they were deemed a “First Year Speedway,” and the sanctioning body waits to assure that they will offer a sanction to a track that will be a sure thing for their sanctioned drivers. 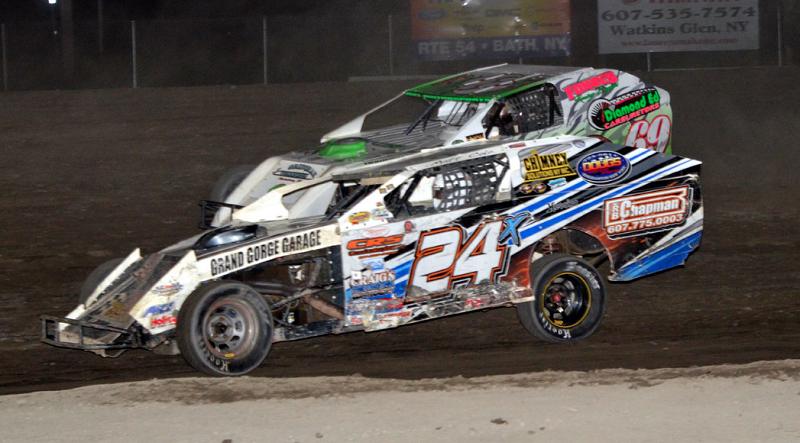 Officials at The Hill Speedway knew that going into their first year and were comfortable with IMCA’s decision. Of course, the thought process there was: get the track established, gain a following and have a pretty good likelihood of attaining a sanction in 2017. This is where IMCA, in my humble opinion, has made a serious miscalculation. 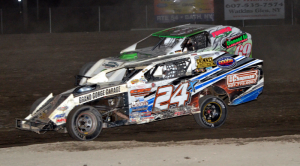 imca aught to take a gopd look as to where their imca licensed drivers and teams are as well! They have at least 5 drivers and teams within 30 miles of the Hill. I realize that’s a small # but when your talking #s as low as 15 a night that’s actually pretty big # meaning the hill could actually have the potential to increase the imca divisions popularity! If they wanted to help they should send letters to licensed drivers and work with with tracks to get all cars to certain tracks on any given weekend!